My little girl and I love receiving her clothes in the mail! Beyond convenience, its super affordable, great quality and totally stylish. 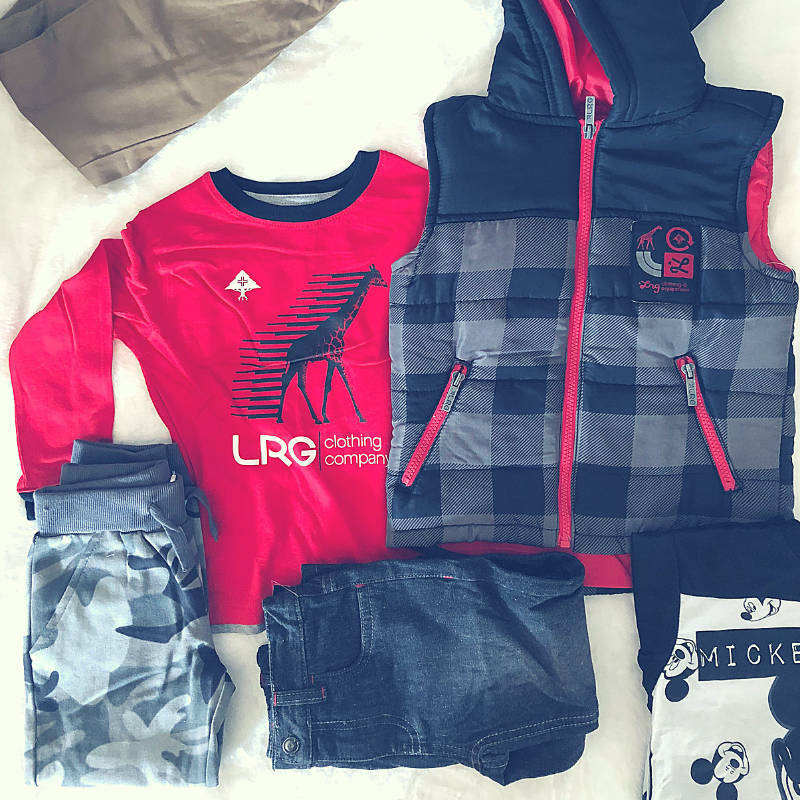 Since many of you have little boys to dress, it feels like the right time to put clothes for boys on the agenda. Since I’ve posted about these guys before, I’d like to jump straight to the question I get asked ALL the time when I tell my Mom friends how much I love getting my daughter’s clothes styled and delivered each season. “…but isn’t that super expensive”? Heck no, Mama! 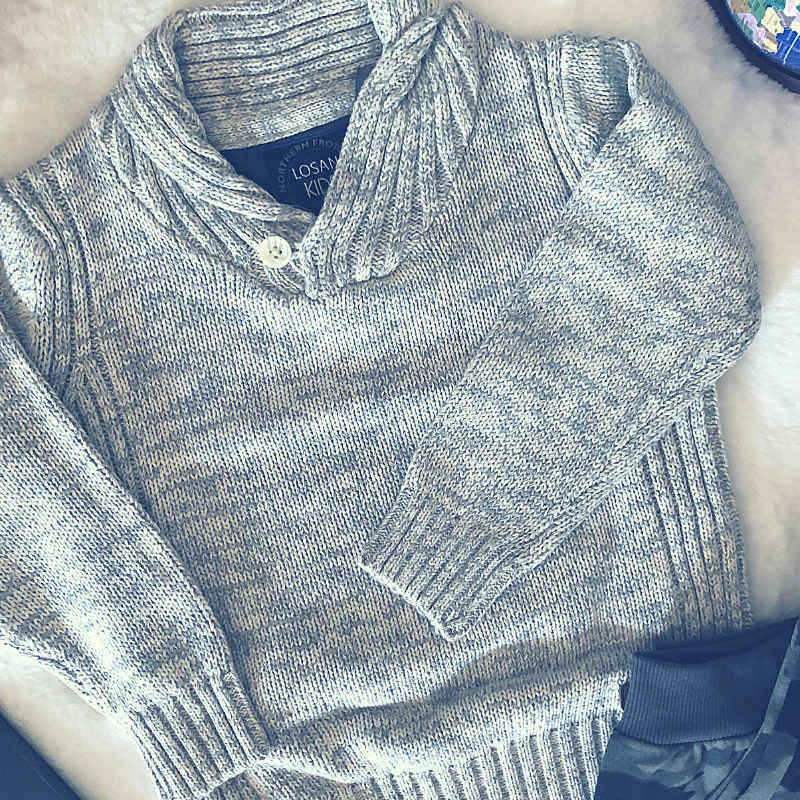 Getting your kiddos clothes styled and delivered feels like an expensive choice, but it is actually the complete opposite. 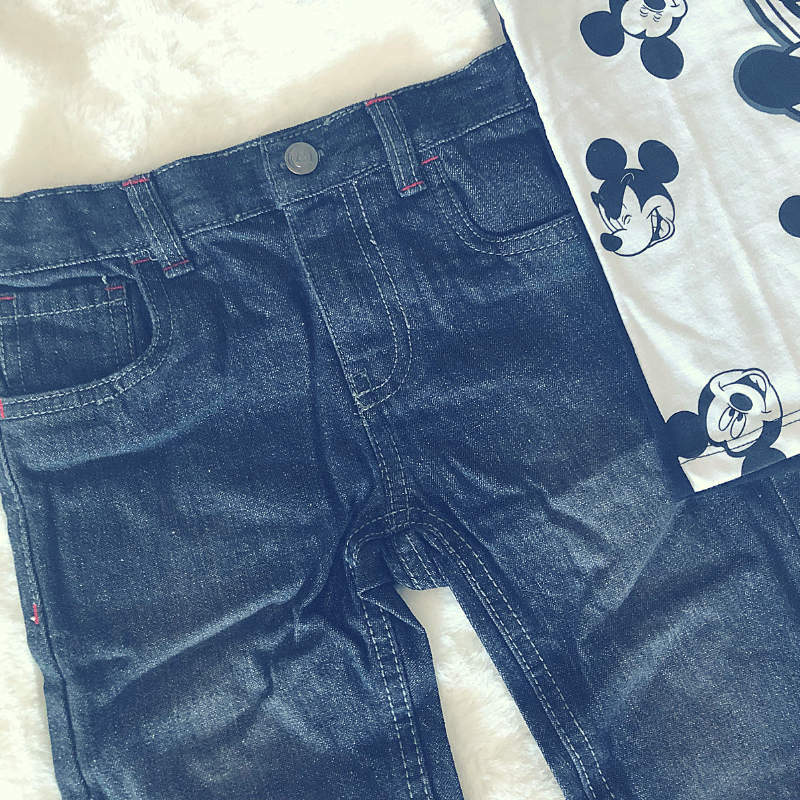 While there are services out there that are pretty pricey, Kidbox clothes average under $14-16 per piece (making it comparable to much of what you would pay for in some of your favorite general merchandise stores (you know, the one with the big red bulls-eye). Having your kids clothes delivered means you’re getting one box of the stuff you actually need. I never leave a store without 10 extra things I don’t need from you-know-where (notepad, new highlighters, a mini S’mores making kit because it’s the cutest thing ever, t-shirt with funny saying, that candle because its on clearance….don’t act like you don’t do it to!). If you’re a slave to the luster of a newly stocked seasonal end cap and curse your wallet every time you exit that big red bull’s eye store? A service like Kidbox is going to save you a ridiculous amount of money. Trust me. I speak from experience. 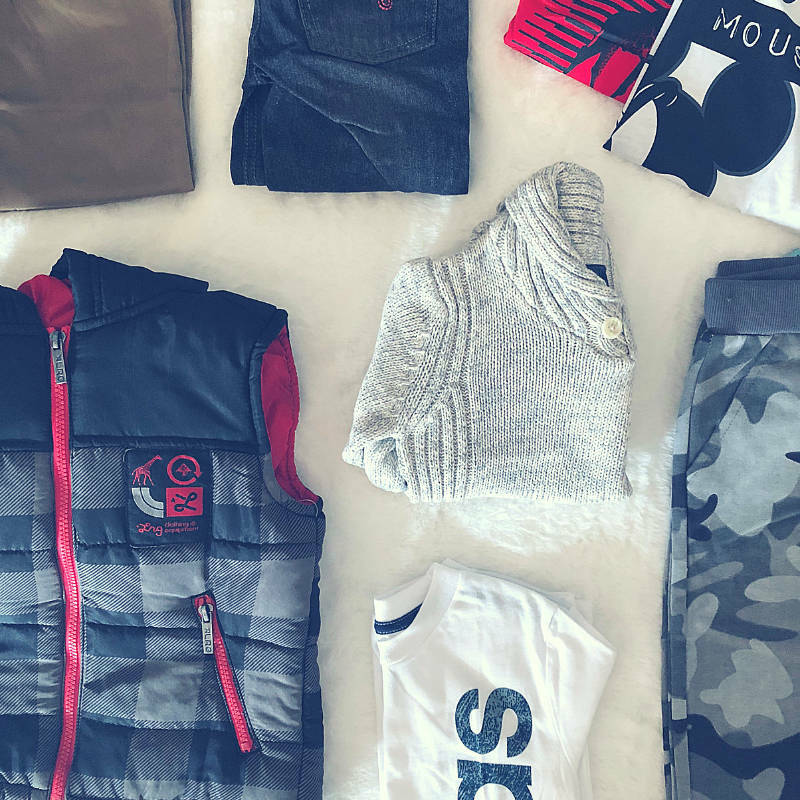 Let’s talk about these this fabulous box of clothes for boys. If you follow along, you know we look forward to our seasonal box of girls clothing (here’s what we got in our last delivery). But, they don’t stop there. 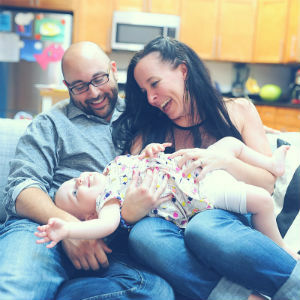 Kidbox provides clothing and accessories for boys and babies too! 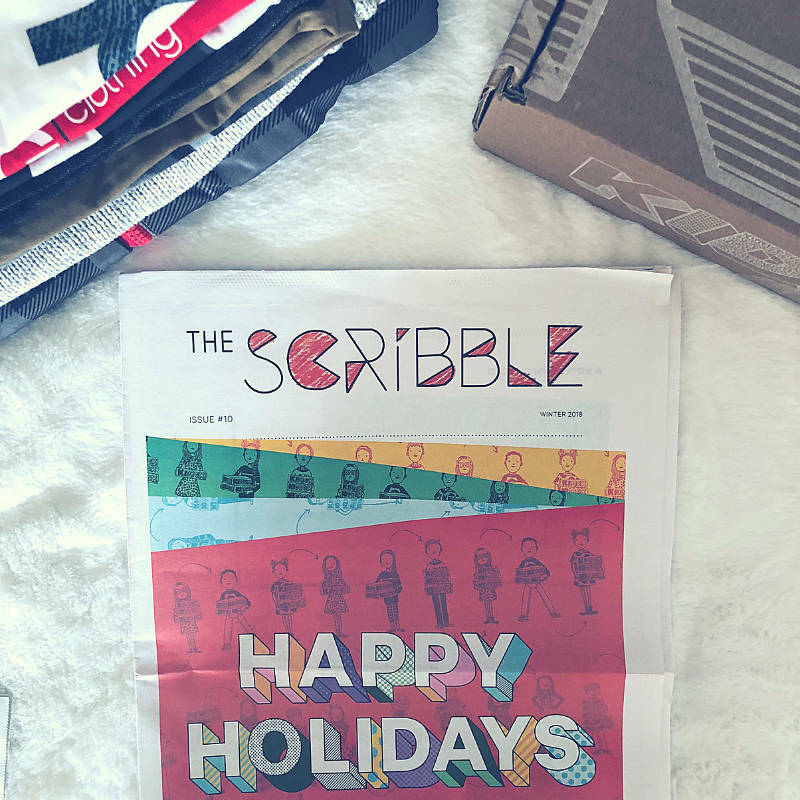 You can opt for seasonal boxes, “Kidsentials” (packed with socks and undies) or one of their limited edition boxes, like “Dream” (packed with PJs). And, you get to try on everything in the comfort of your own home, so no threat of dressing room melt down. 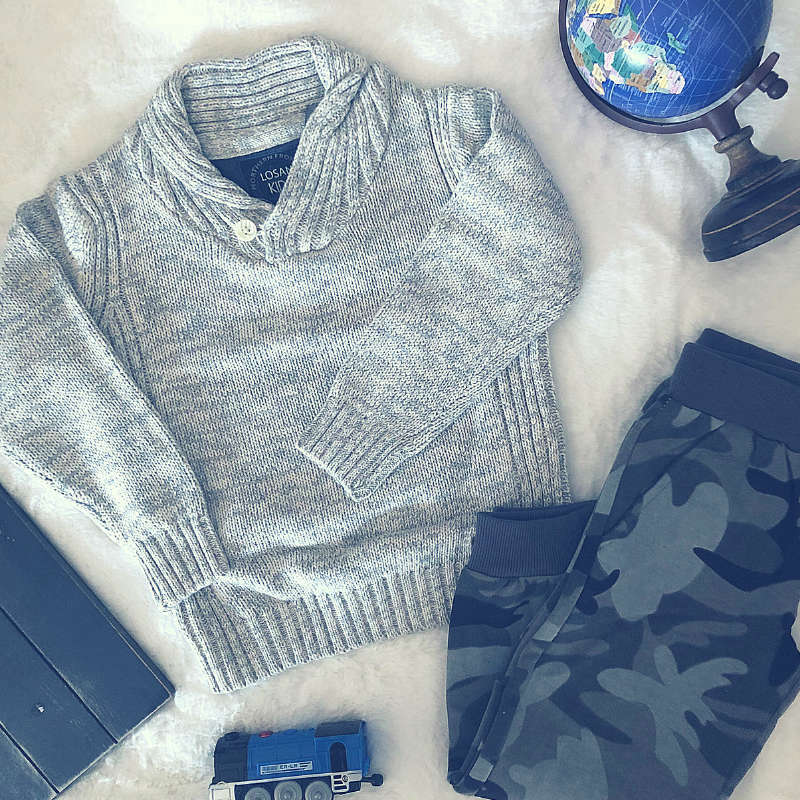 We received the Winter Box filled with 8 items perfect for your stylish little guy. 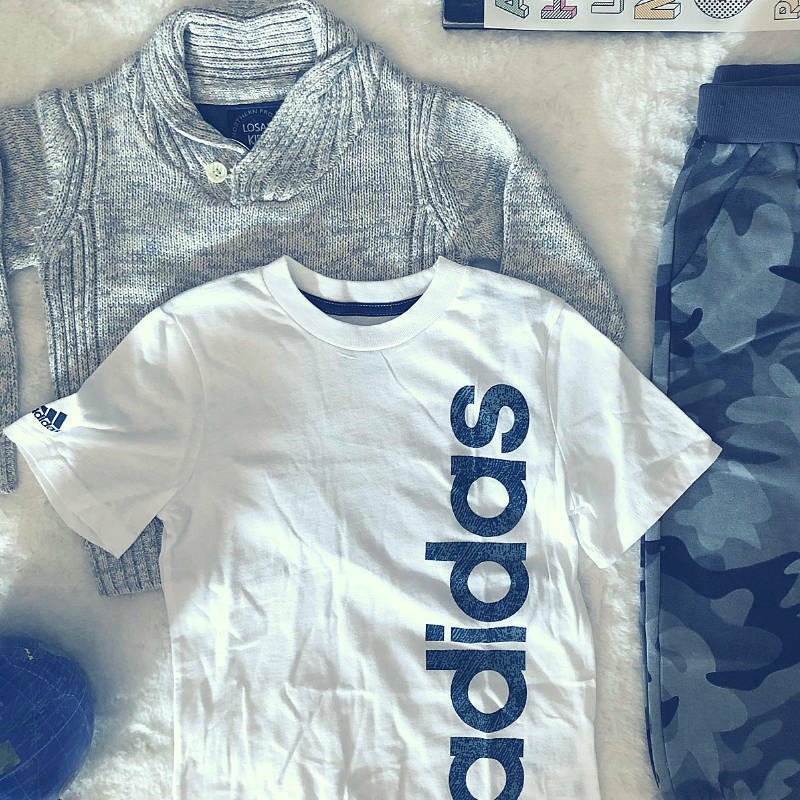 There were tons of outfit combinations in this one little box – it came with two t-shirts, two pairs of pants, 1 sweater and a 3 piece vest set. The color combinations were totally interchangeable, which made it super easy to create over 4 outfit combos. The retail value of the entire box we received was around $226 bucks, but that’s not even close to what you’d pay for it. This just blows my mind. Whether your shopping for girls or clothes for boys, expensive clothes for day to day life are just not an option for most of us. The total cost to keep this entire box of clothes was $98. That’s a little over $12 bucks per piece (including the heavy-weight vest from LRG)! Of course, you can pick and choose what you want to keep or send back and still receive a discount on the clothing. But, you’ll save more if you purchase the entire box AND every time you do purchase an entire box? You get to choose to donate to one of the many causes supported by this fabulous brand. This season’s causes include Homeless Families, The Community Hope Center, Puerto Rico Relief and Victims of Domestic Abuse. I have had some great conversations about giving and supporting our community with my little thanks to Kidbox. And, we’ve been a part of donating new clothing to children in need because of it. Kidbox sends boxes seasonally – you can set your account to automatic or pick and choose when you want a box (or an extra one if you need to stock up for a certain season). Everything is personalized to your kid, from size to colors and more. They work with over 100 brands providing sizing from 2-14. There’s no subscription or styling fee to receive a box – you either choose to keep some items (at a discounted rate), the entire box (for a deeper discount at just $98 bucks total) or return everything and call it a wash. If you decide to give it a go, just enter KIDDO20 at checkout to get 20% off your first box using this link. Clearly, we love our relationship with Kidbox and are happy to continue to share the love here on kiddoandsoul. You can check out all of our previous posts and Kidbox reviews by clicking any of the links below! And, guessssss what? One lucky kiddoandsoul reader is going to win an entire box from Kidbox this week! 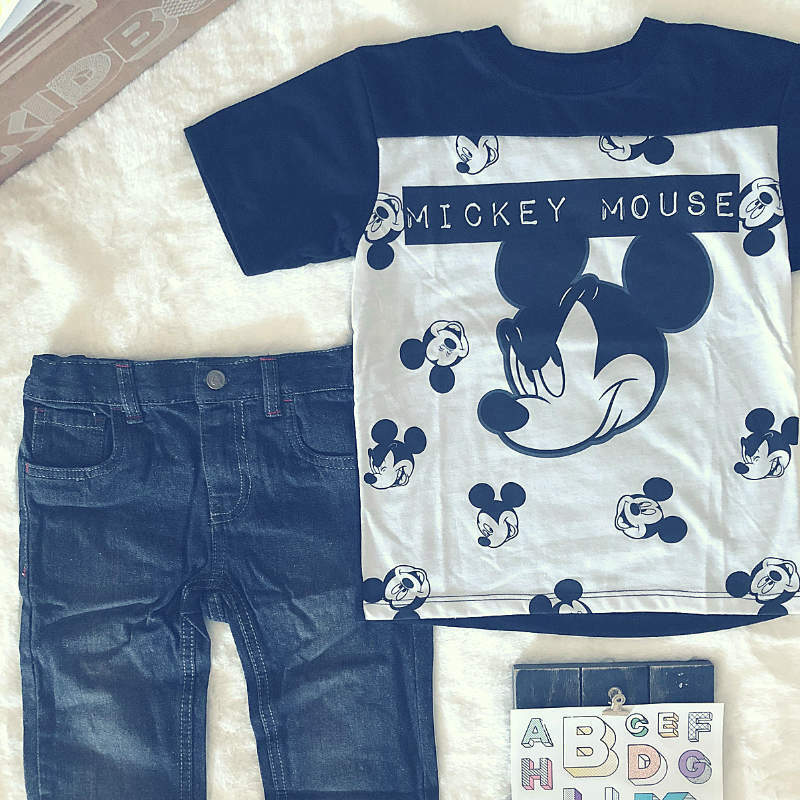 You can enter the giveaway here for your chance to win a personalized box of clothes for boys (or girls or babies). The winner will be announced on 11/19! Click here to enter and GOOD LUCK! Yey! 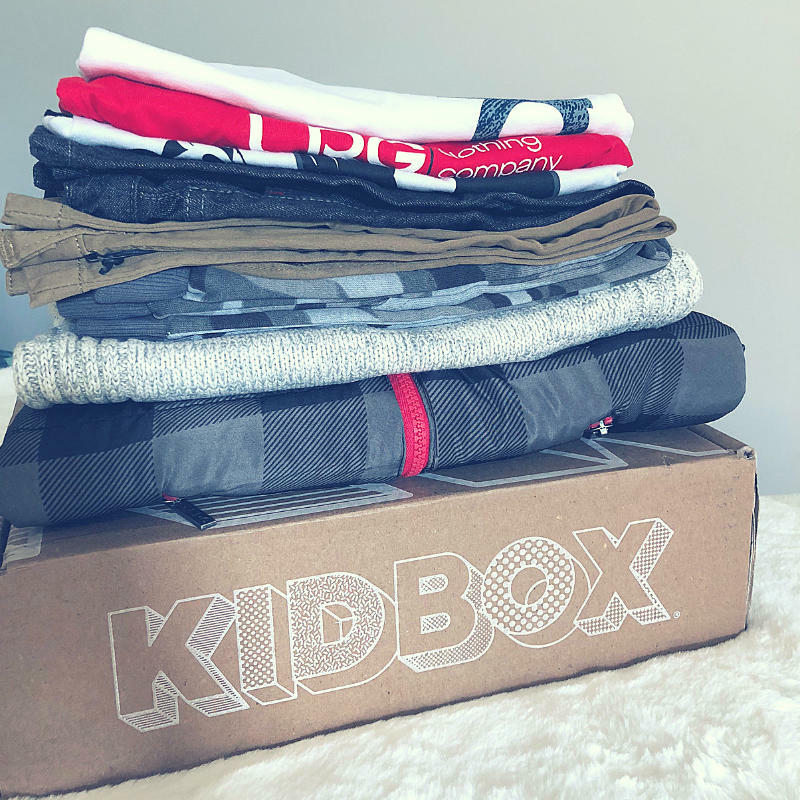 Here’s 6 reasons we choose Kidbox for clothing delivery! *DISCLAIMER: This post is sponsored by Kidbox. I received compensation to create this post. It is a combination of my personal insights, opinions and thoughts on various topics and products and may also contain affiliate or referral links. I earn a small commission if you make a purchase through my links, which helps me continue on this fabulous journey of blogging! Full disclaimers avail. here. Awesome. Thanks for hosting and thanks for the chance.